With only a half day to ski, I had decisions to make. 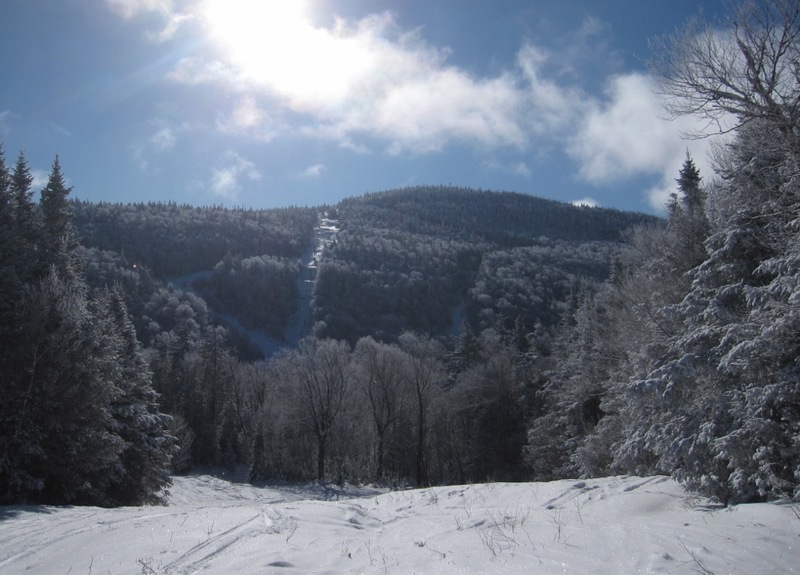 Wake up early, drive an hour to Gore and spend the morning exploring a fraction of the mountain, or drive 45 minutes to Big Tupper for untracked lines and ski-on lifts all morning? For me, Tupper was the right call. Sunday was my first time on the hill since President’s Day 2012. Arriving at 8:45, I found a parking lot with maybe a dozen cars. After grabbing my $25 lift ticket, I headed for Chair 2. Chair 3 wasn’t running and looking up towards that forbidden peak, I wondered if Tupper would see the kind of snowfall it would take to open it up this season. 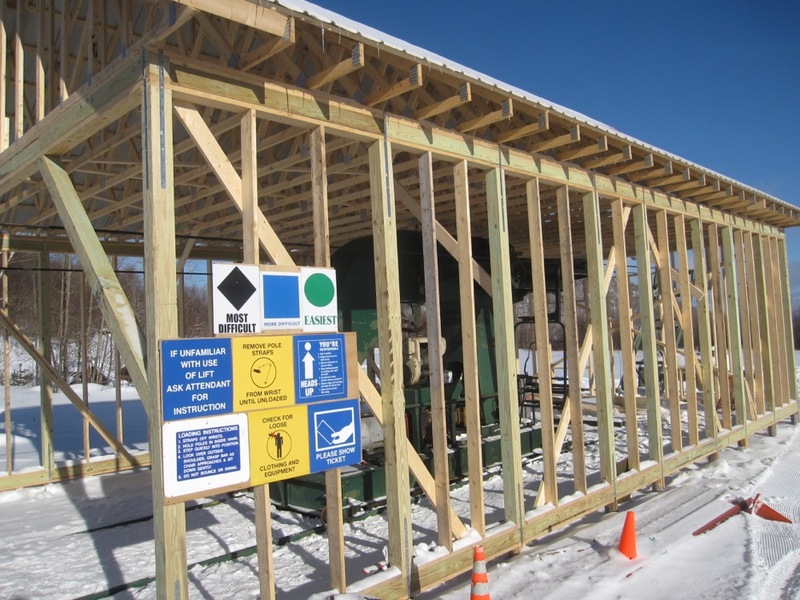 A new lift building was quickly reconstructed after the old one blew down earlier in the winter. On this day, the old double chair spun for 15 minutes on a gas engine connected to a car battery, before they switched it over to electric. Cover was thin in spots, still I found some nice lines. An inch of fine powder fell overnight which helped to freshen things up. The runs of the day were Logger and Lift Line. Thin cover included the threat of rocks and branches, and some rather uneven ground underneath the snow. There were times where it felt like I was skiing over rumble strips with an occasional speed bump/dip mixed in. Another six to 12 inches of snow would really go a long way. The views from the top looking northwest are beautiful. 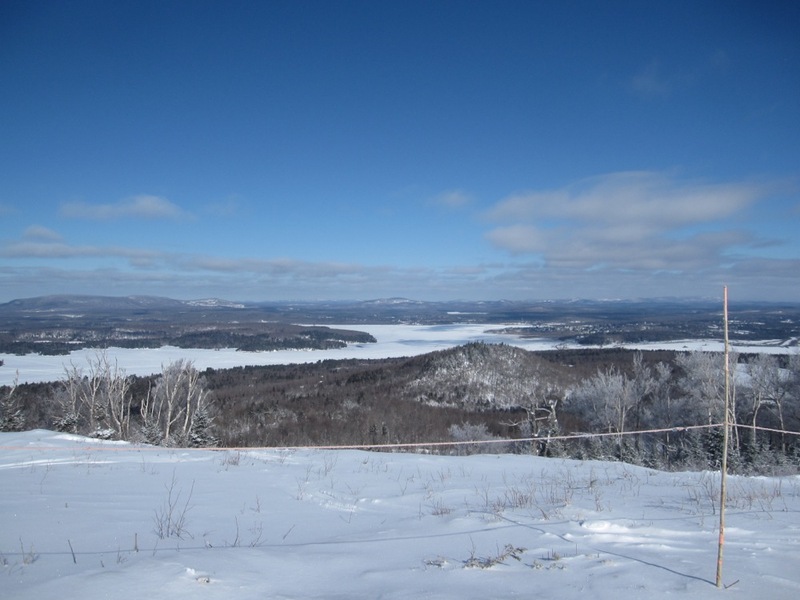 Tupper Lake was dotted with ice fishermen, and the sun and blue skies made you forget that the temperature never rose out of the teens. The terrain off Chair 2 reminds me of Chair 5 at Greek Peak. 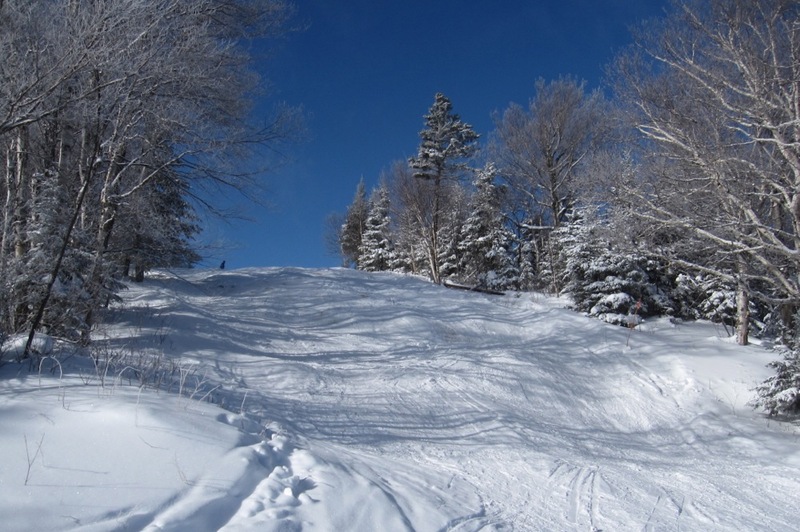 Plenty of wide open trails with varying pitch, though not enough to challenge an advanced skier. Untracked lines were easy to find all day, though some trails were worth avoiding. I called it a day after a few fast-paced hours. 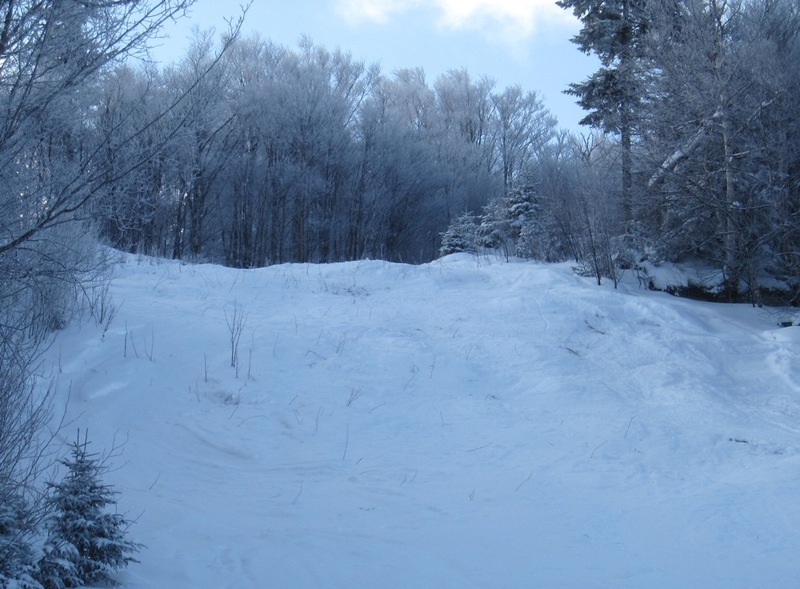 Regardless of your views on the issues surrounding Big Tupper, this ski area needs an investor. That said, the volunteers are doing a nice job keeping the mountain running, and everyone seems to take pride in what they do. It reminded me of Plattekill in this regard. If you have a chance to visit Big Tupper soon, I say do it. njadk, I went Sat and also left after a few hours, your report on conditions is generous. I’ll end up spending more on repairing my skis than I did on a ticket. Your comment about the area needing an investor reminded me of a conversation I had with a local guy. Actually the area has an investor, the ACR owns the ski area. Unfortunately the main investor who lives in Tupper has no money and is in serious financial difficulty. Amazingly the ACR sold off all the main components of the snowmaking system to pay bills. The pipe is still on the hill, what a shame, they could have blasted that hill ten feet deep this year with the cold temps we’ve had. Maybe things will pan out for the development but I’d say it’s a long shot. Someone without capital isn’t an investor. Maybe the author should have said the mountain needs some investment. Thanks for the photos njadk. They bring back memories. I really like the opening shot. Is that the left side of the mountain when looking at a trail map? The layout seems complicated but it must be a great place to ski with some snow. Thanks for the post!